Last modified on Saturday, December 8 2007. During the workup of a child with a developmental delay, you obtain the above MRI. This image is most consistent with which of the following diagnoses? This question was created on December 08, 2007 by jdmiles. This question was last modified on December 08, 2007. 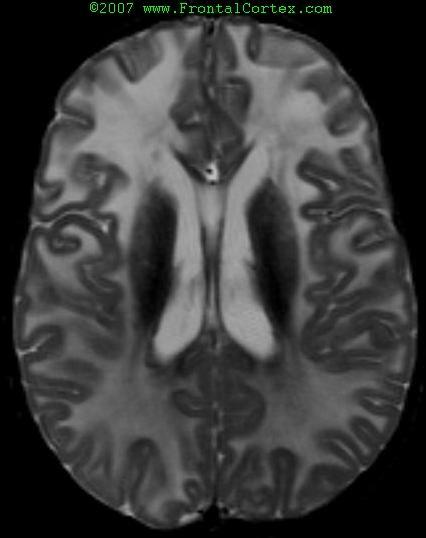 Contrast enhancement of particular gray and white matter structures.